Are you looking for an architect or a designer to design your home? If so, you need to learn how to spot a good architect. Or maybe you are ready to enter into the world of interior design and need to know how to be remarkable in the job. In both ways, you need to learn the habits of successful architects. These are the markings of good architects and designers, they will help you either way. People usually remember houses in their stories. A home that tells a story is a home to be remembered. Architects are taught in design school to start projects by inventing a narrative. The narrative can flow from something specific like a feature in the place or something more general such as providing natural light in every room. This should apply to every level of design, even down to small renovation or decorating tasks. Finding the bigger, guiding idea and creating a story around it fills every design decision with meaning. The ability to simplify means to eliminate the unnecessary so that the necessary gets more pronounced. Architects are schooled in editing down to the essential components. If a component in the design does not serve a function, its necessity should be questioned. 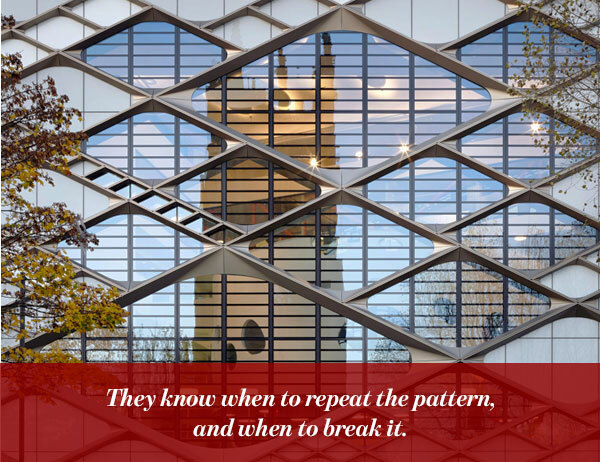 Repetition is a good thing in architecture. Repeating thematic elements, again and again, help to reinforce the theme. Windows, doors, columns, beams, materials are all part of the order of buildings. Repeating patterns, materials, grids, and proportions are the underpinnings of order. Repetition does not equate to boring, it unifies a design. It is economical, and most importantly, it provides a reference point and background against which to highlight the things that we think are really important. Once the designer has an established repeating pattern, they can decide where to break the rules. With a repetitive order as the background, calculated rule breaking is assured to have special meaning. It also balances the repetition to keep it from being staid and monotonous. 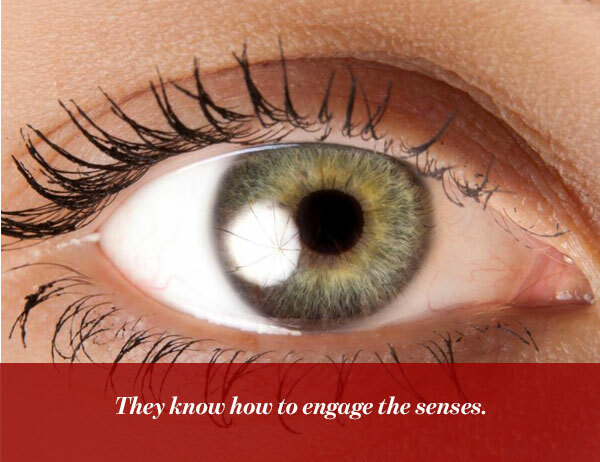 Architects and designers should think about different senses when designing. Architects should know that opening a home to a view is as important as shielding it from unwanted noise. Designers should consider the difference in the feel of cool concrete versus warm wood on one’s feet and the sound rain makes on a metal roof. Good architects and designers think about light and shadow, where the sun moves throughout the day, where the wind comes from or the sounds of an urban neighborhood, and how to work around these elements. 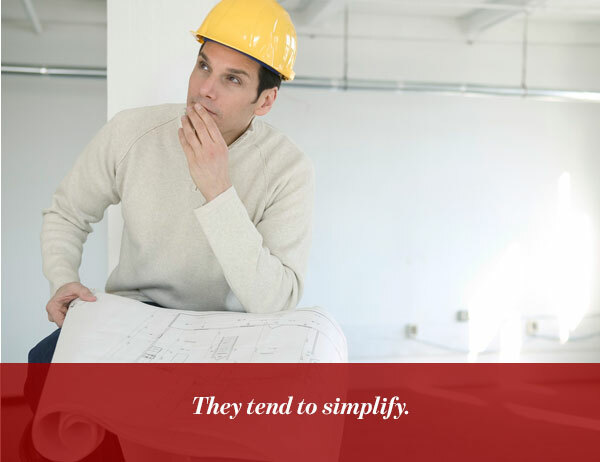 A professional architect or designer is able to solve problems and simplify complex designs into realistic and stylish spaces that conform to the needs of the client. They do not promise the customer things they do not have the ability to follow through with. 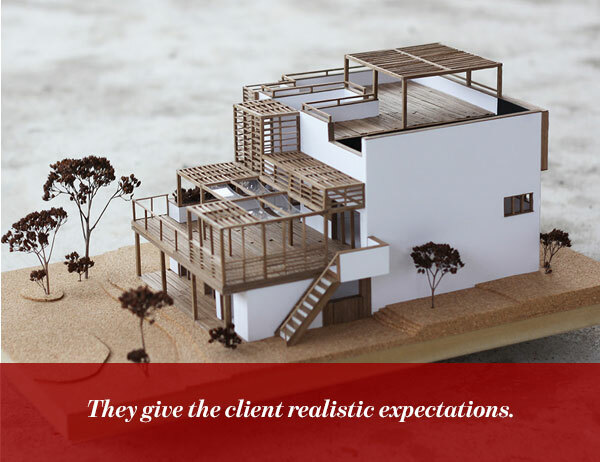 Staying honest and keeping their word to the client is a good habit of good architects and designers. 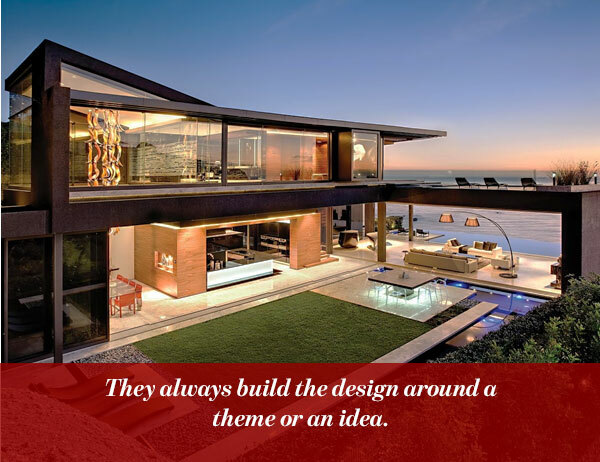 It is the client’s vision that is most important to design the home of their dreams. 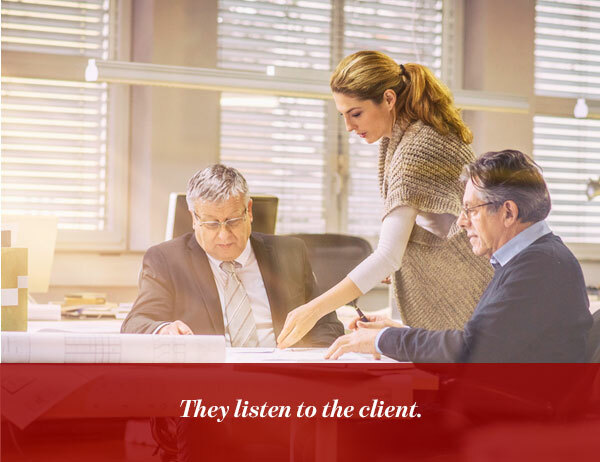 So paying careful attention to the wishes and budgetary limits every client brings to the table is a must. That is not to diminish the importance of the architect’s vision. We need to look at the project as a collaborated design project between client and architect where both are equals in the input of ideas and visions. All creative professions are susceptible to criticism. But they should make the project their top priority. 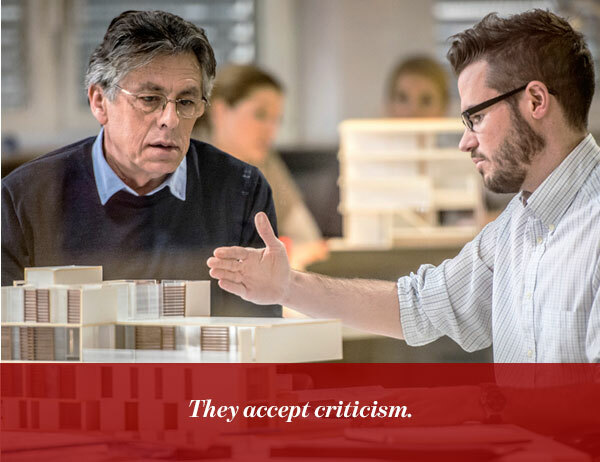 Successful architects and designers know that criticism does not mean they are personally offended, so they are willing to accept constructive criticism. Taking risks to do something out of the ordinary is part of any creative field. Rethinking, imagining and inventing new ways of doing the same old thing is a mark of a creative architect or designer. While the laws of physics still apply, even gravity can be challenged. Of course, innovation should not go overboard, but looking at a problem through a different lens often reveals interesting solutions. An architecture always seeks to solve problems, but it is the way they are able to solve those problems that separate the good from the bad.